Here are 10 burgeoning technologies that have the potential to help revolutionize our planet of consumerism. Some are currently in development and others are trying to gain a greater foothold in society, but all are promising solutions to some very real threats the world is facing. 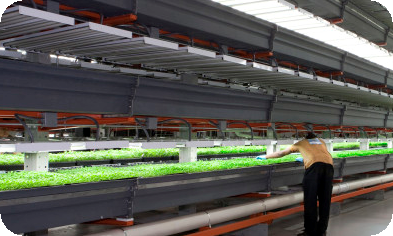 The future of modern agriculture could very well be found indoors. Vertical farms grow plants hydroponically (without soil) in large, multistory buildings under artificial light. Crops can be stacked on top of each other and grown far more quickly than with traditional farming methods. Sure, you can be as green as you like while you’re alive, but what about your environmental impact after you’re dead? A new market for sustainable burials has blossomed to help counter the carbon-intensive and chemical-filled methods currently employed. 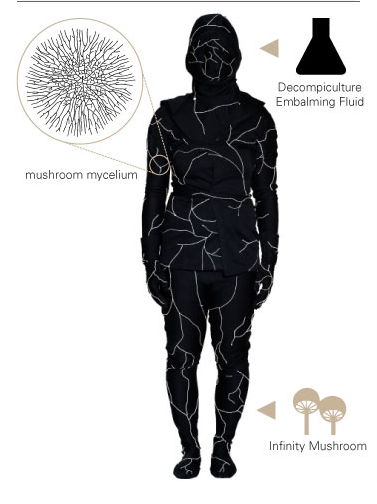 You can now be buried in everything from a “mushroom death suit” to a biodegradable casket, sans embalming. Another, more creative approach takes your ashes and puts them into “reef balls” that can help restore damaged coral ecosystems. The (under)world is your oyster. This entry was posted in Uncategorized and tagged biodegradable bury, reef balls, vertical farming. Bookmark the permalink.